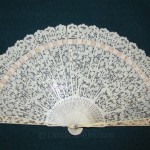 The majority of brisé fans accentuated the elaborate carving or piercing of the sticks, with little or no decoration to detract from the delicate pierced patterns. 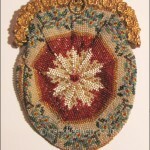 Others, like this example, incorporated pictorial designs. This ivory brisé fan, c1810-1820, is composed of pierced sticks and guards, threaded with a white silk ribbon, and held together by a steel rivet and mother-of-pearl washers. All the sticks are identically pierced, with the exception of nine sticks which have a central uncarved area, allowing for three painted vignettes. The vignettes are different on both faces of the fan. One face shows a figure of a young man in the central vignette, flanked by two vignettes of building resembling churches. The other face shows a central vignette of an exotic red bird, flanked by two vignettes of bowls of fruit. Each face is also hand-painted with brightly colored rows of flowers. The fine painting on each face allows for either face to be used as the front face. 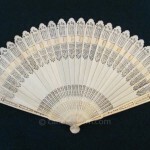 Painting on brisé fans was more difficult than painting a fan leaf for a folded fan, especially when both sides of the stick were painted. 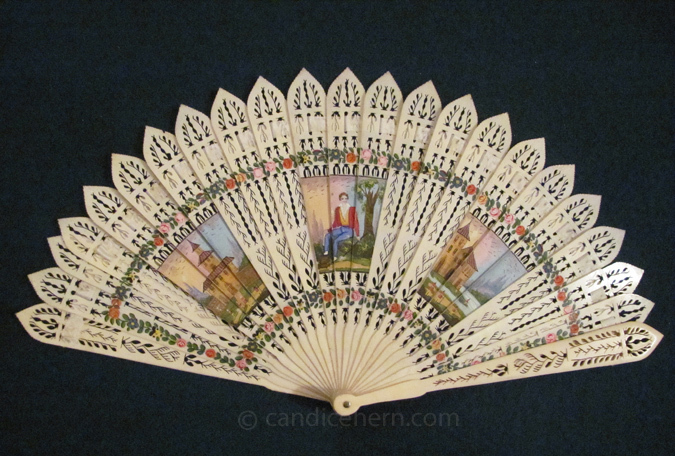 On a brisé fan, the artist had to color each individual stick carefully so that the whole composition connected properly, on both faces, when the fan was opened. Though purchased in England, this fan is possibly French. 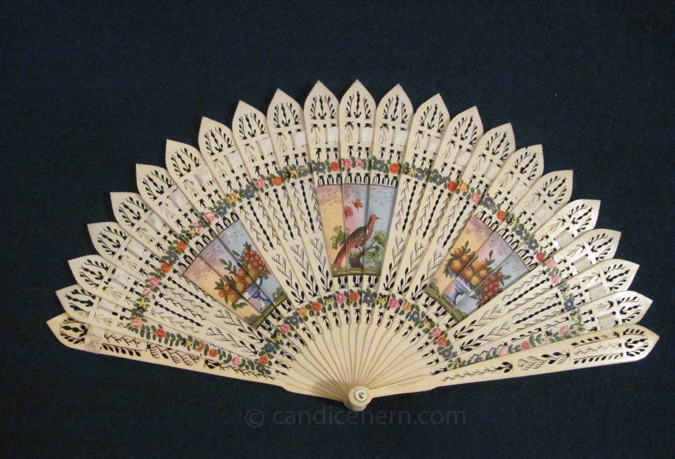 A fan in the Victoria & Albert Museum with identical piercings and similar painted vignettes is identified as French.